This is another wonderful piece made by silversmith & enamelist Jean Wilkinson. 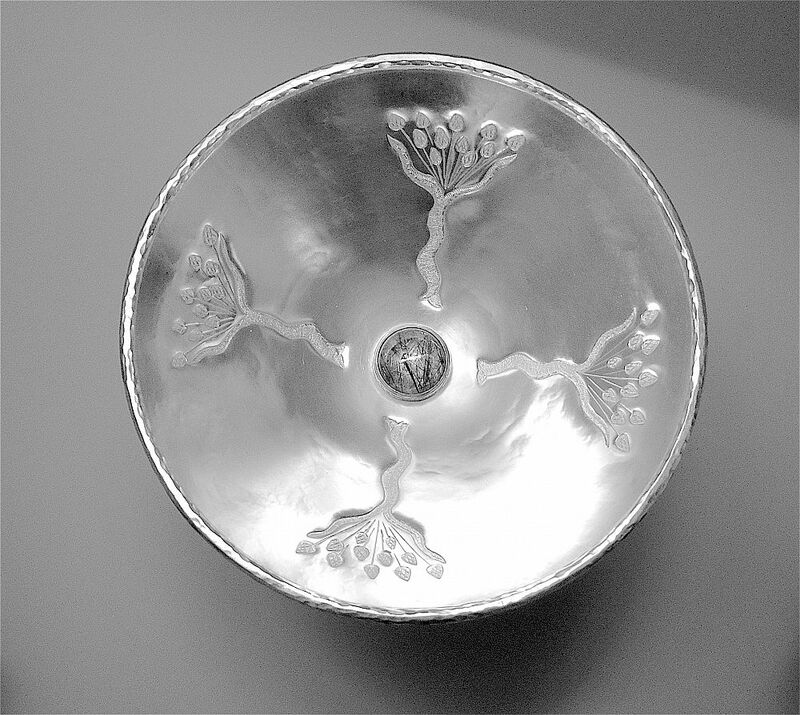 The round domed plenished base has 4 engraved tendrils. 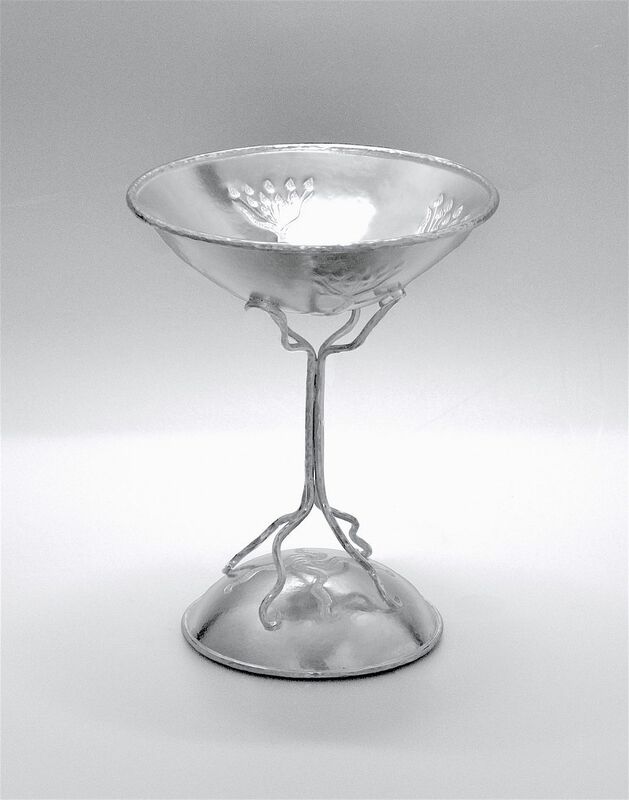 The round concave plenished cup is supported by 4 tendril like textured silver supports whilst the inside of the cup has an unpolished surface and is engraved with 4 trees with a rutile quartz cabochon in the base. It is hallmarked for silver. The cup has a lovely Celtic feel to it.